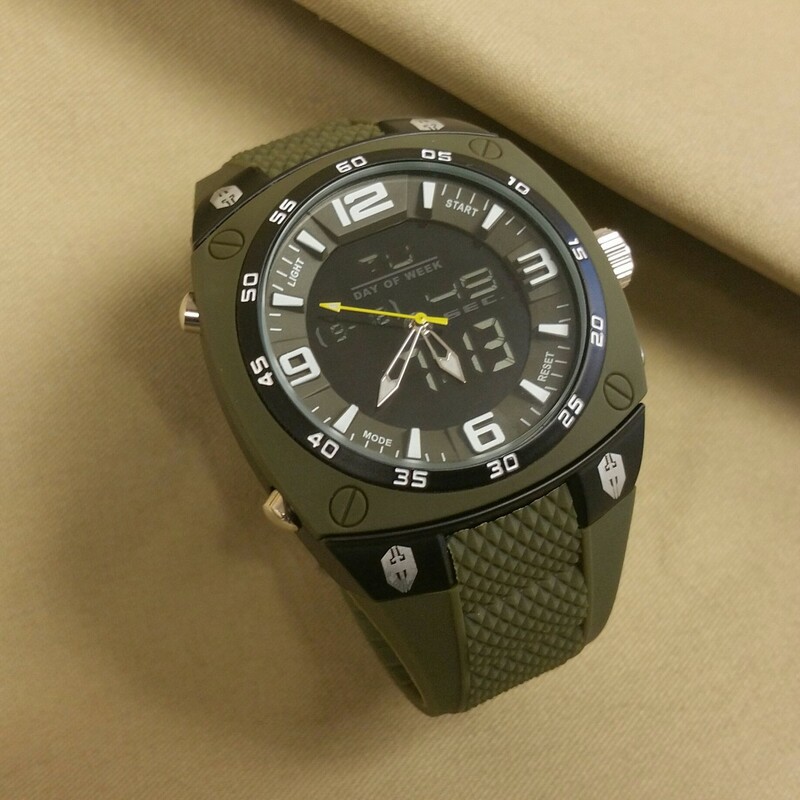 I like watches, big, bold, rugged watches, so I knew that this watch is a Hoffner Watch. 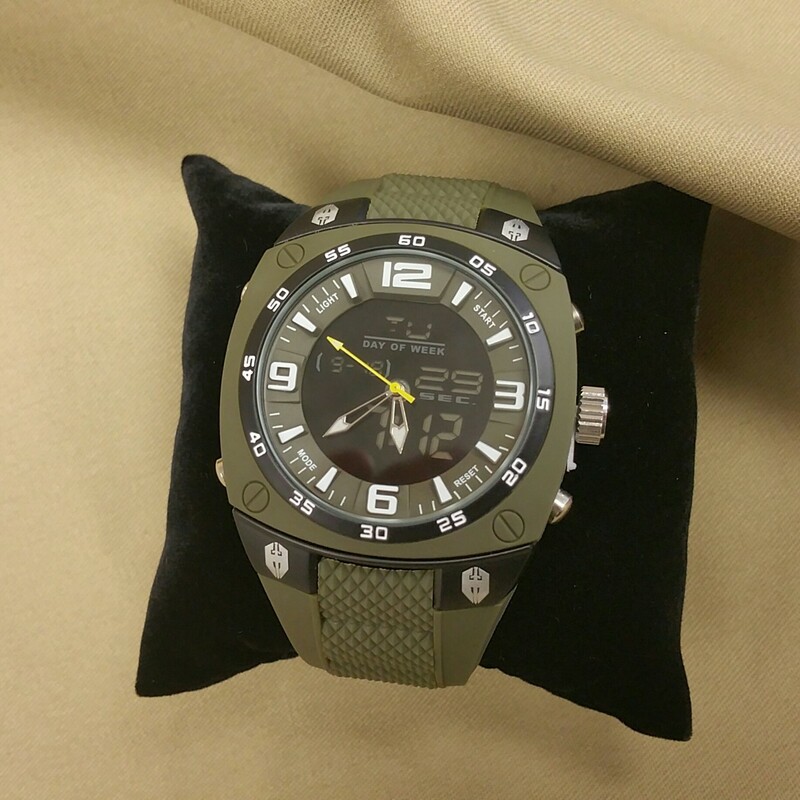 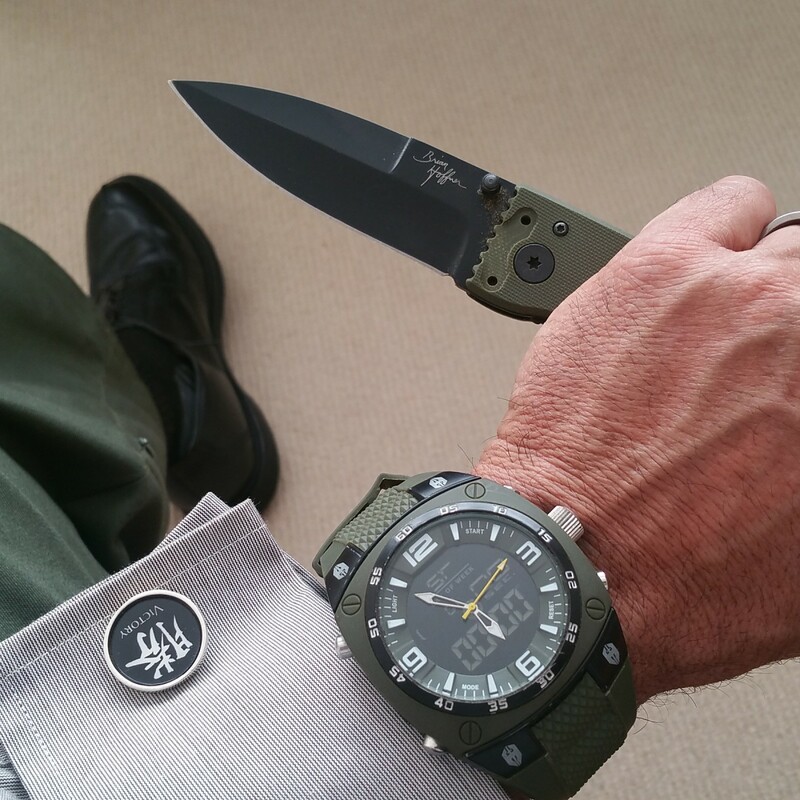 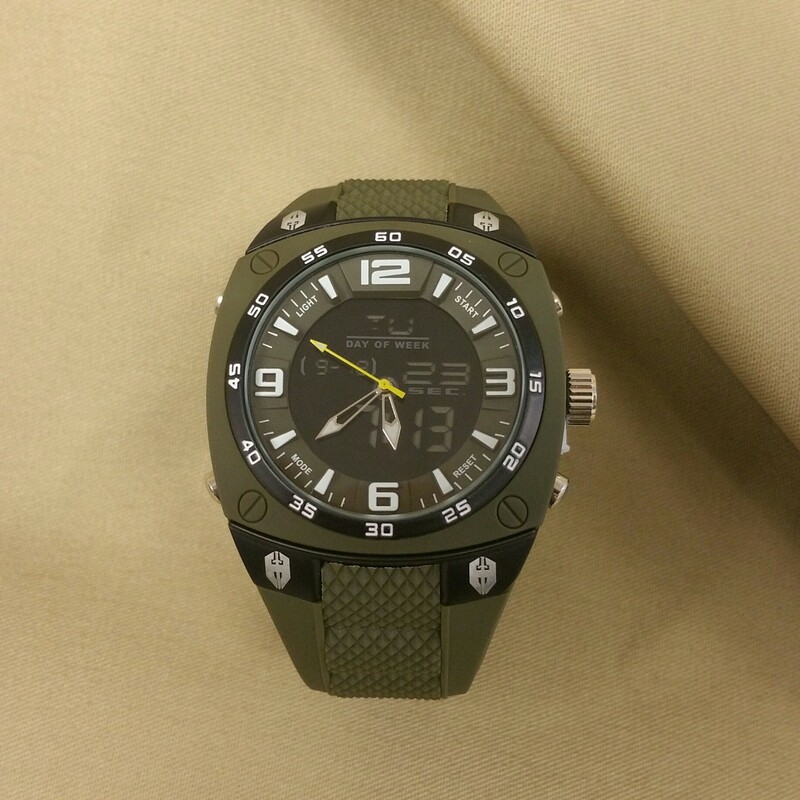 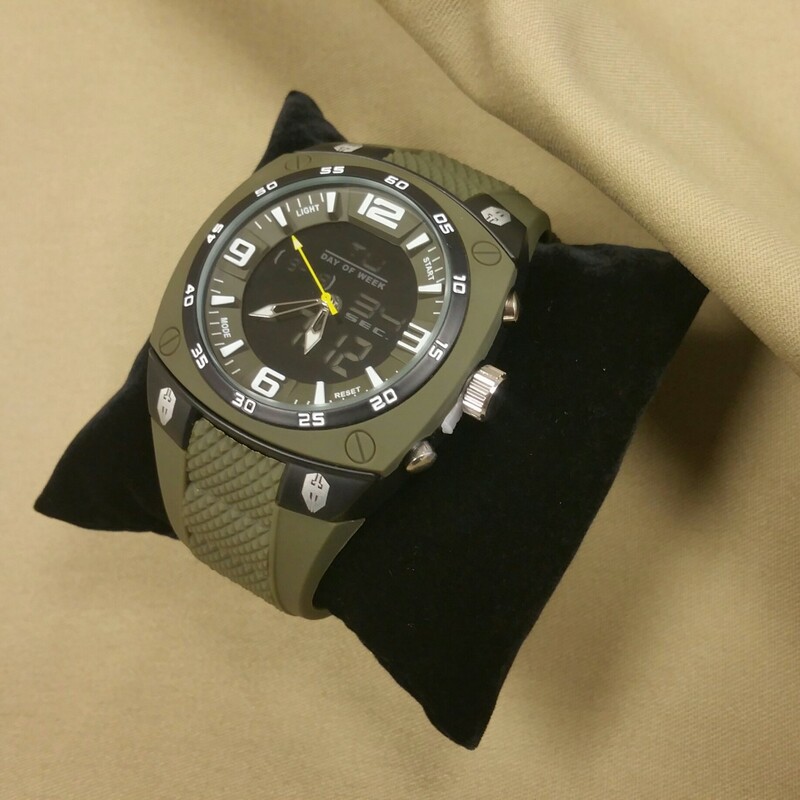 Tactically handsome in Olive and black, and sporting the Hoffner "Shield & Sword" Icon on the four corners of the case, this watch gets noticed. 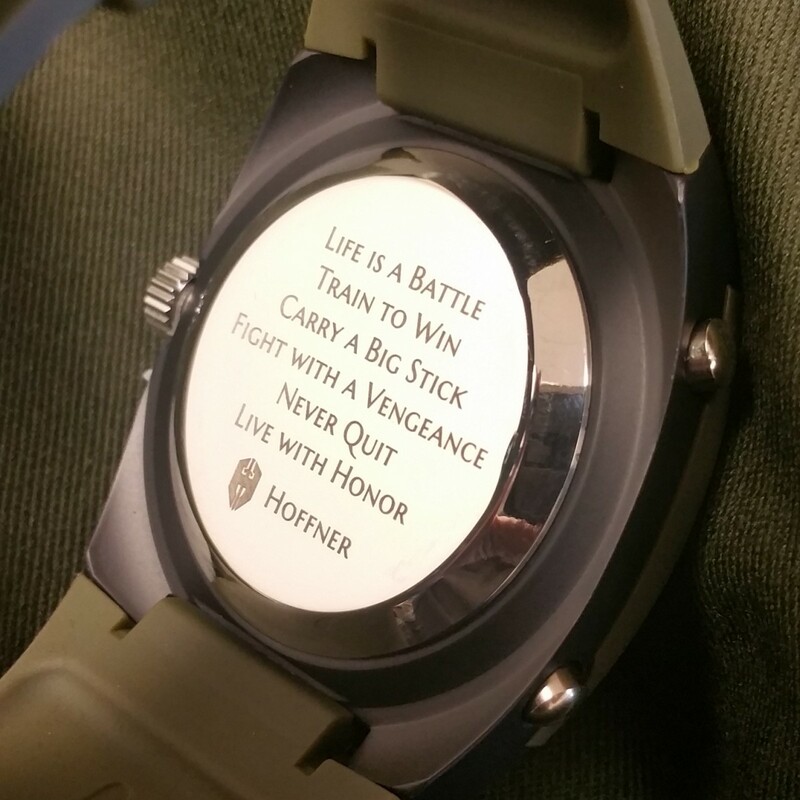 On the back is the Hoffner Warrior Code to power you through life. 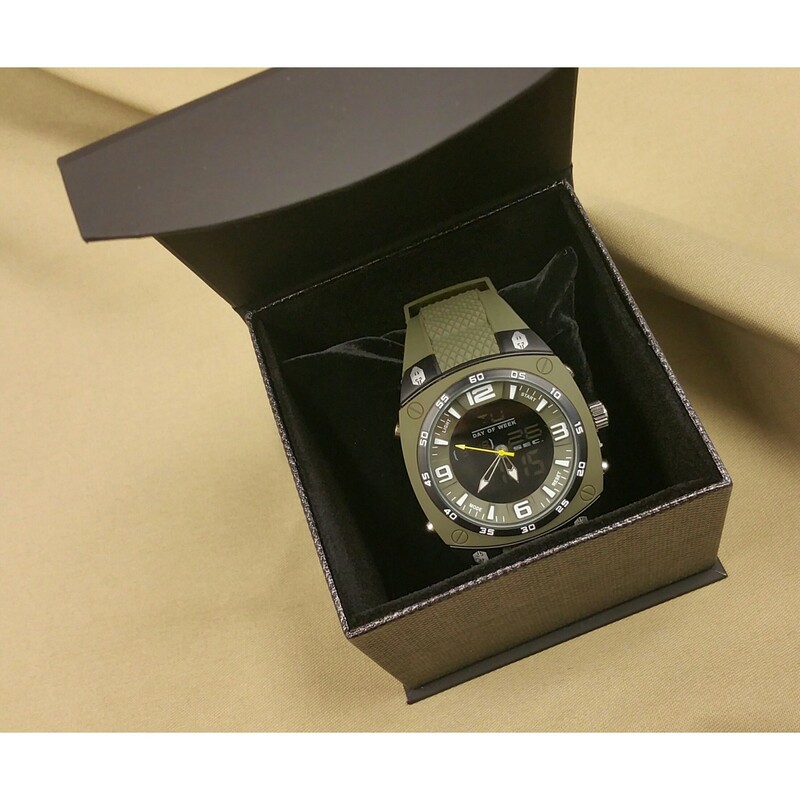 This watch is a must have for a man of the rugged Sheepdog Lifestyle! 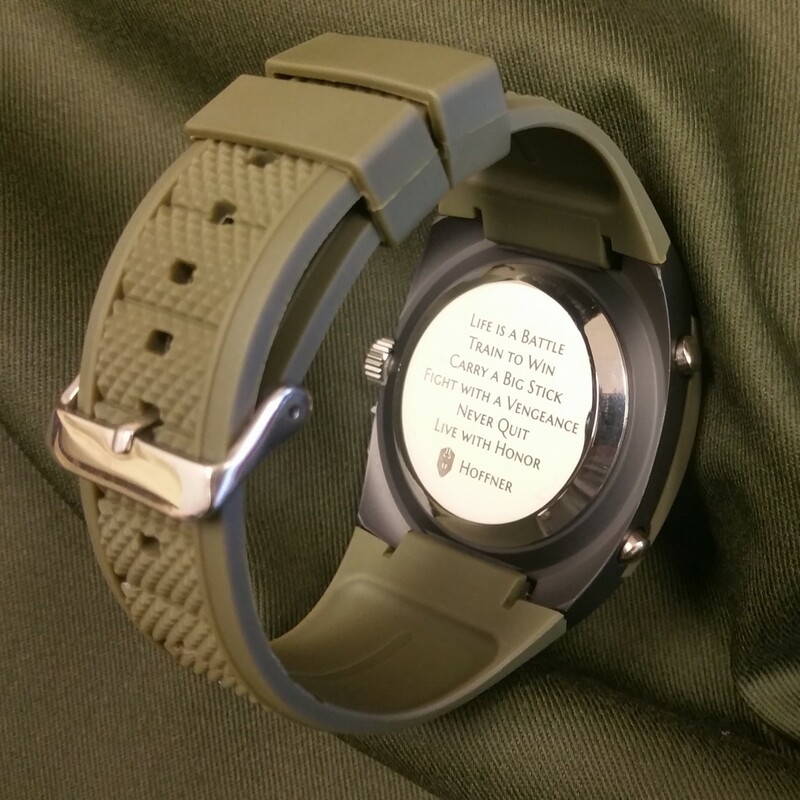 Hooyah on your wrist!